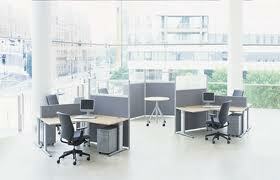 As your business develops from start up, and grows to become a success, your office space really needs to reflect this. If you intend to increase the number of clients you have – and their calibre and invoice amounts – the way your workspace looks, needs to show you are professional, lucrative and overall, worth doing business with. Mind, you don’t want to be too overdone, a workspace and employers that are all sparkle, bells and whistles can attract a client base that is the same – fickle, phasey and fleeting. Before kicking off your fit out, understand you will need to spend money on this, but it is an investment. Think of it this way, when you are online and come across a business with a dowdy, out of date or drab, clumsy website, you often pass over it for something more modern and professional. Something that the business has invested in. Your office is the same, so prepare to invest. If interior design and decorating isn’t your thing, ask the advice of people who know. Whether you call in professionals, or just get insights from friends who are better in this space than you are, you need to come up with a plan – an end goal, to start with. Know the look and feel you are trying to create, the sorts of pieces and designs you might use and create a plan to run by. This will help you adhere to budget and work in a straight line. You will need builders, electrical services, plumbers and possibly interior decorators. These are the people who will change your space from what it is now, to what it could be. Discuss the plan with them, get quotes and negotiate for the best price – then trust your new team to get the job done right! Remember, as well as head interior decorator, you are still the head of your business – which needs to stay operational through these superficial changes. Make sure your staff has space, time and quite to work in so your business can still generate money while you are spending it. Arrange time off, work from home or other premises for the time being, if required. After you’ve built in new storage, put in benches, kitchens or entertaining space, you still need to compliment this with your furnishings, art selections and even lighting. Select carefully, be subtle and creative, and not too overdone and pretentious. Once the fit out is complete, make sure you get all your staff and clients together to launch and celebrate the change. This is not only a way to show off the new digs and create new business, but will also re-motivate your staff and lift morale. information and articles are very interesting to read, is in the business world in the form of maturity is required of good management, not just rely on in terms of money but also necessary so that the concept of cohesion in the business plan is going well.